Located at the gateway to the seaside commune of La Teste de Buch, between the Arcachon Basin and the Étang de Cazaux et de Sanguinet lake, just a stone’s throw from the Golf Bluegreen Gujan Mestras golf course, the Le Domaine de la Forge campsite is a holiday resort located at the border of the Landes and the Gironde départements. The sea is around twenty minutes by road, as are the Dune du Pyla (Europe’s highest sand dune) and the Banc d’Arguin National Park, one of the most famous tourist attractions in the region. 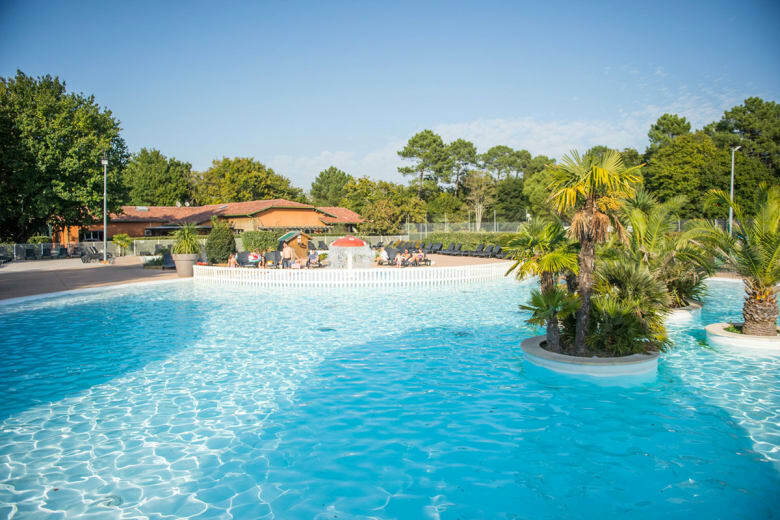 The lakes, beaches and the Landes seaside resorts, such as Biscarrosse, Mimizan and Parentis en Born, are also close to this top-of-the-range open-air hotel in the Arcachon Basin. The campsite nestles at the heart of 19 hectares of grounds, which are entirely enclosed and wooded. Oak trees and maritime pines form a genuine forest, where peace and tranquillity reign, for the greatest delight of holidaymakers who come to stay. The holiday rental accommodation on the Le Domaine de la Forge is made up of a multitude of mobile homes, bungalows and timber chalets. Luxury holiday hire accommodation has been established on private and verdant plots, including those for which the surface area varies between 200 m² and 350 m². It is also possible to hire a pitch for a year to have your own mobile home. 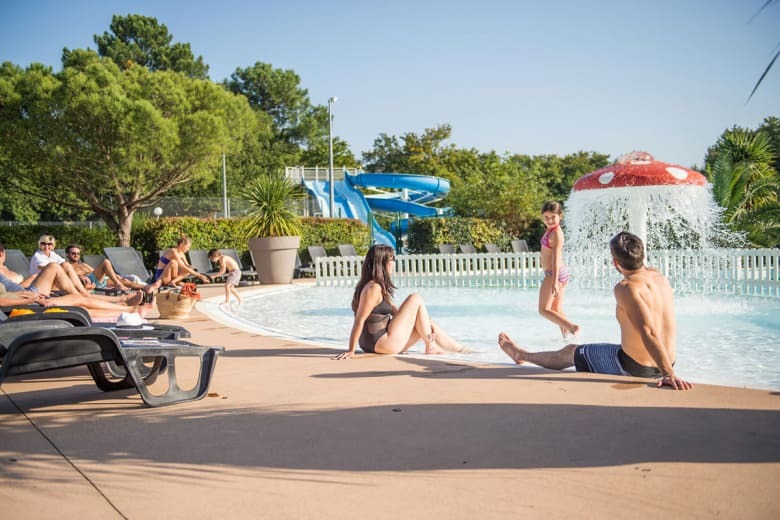 This 4-star campsite in La Teste de Buch offers holidaymakers a multitude of services and benefits, so as to best meet everyone’s needs. For example, the 19-hectare campsite enjoys Wi-Fi coverage. It is therefore possible possible to access broadband Internet from your PC or from your smartphone right across the campsite! As regards shops, Le Domaine de la Forge has a bar-restaurant as well as a hot food and drink area. A shopping centre is just a stone’s throw from the campsite, within which there is a hypermarket as well as a shopping arcade. Amongst the other services, we should note the presence of an on-site launderette, a linen hire service (sheets and towels), as well as a bicycle hire service. 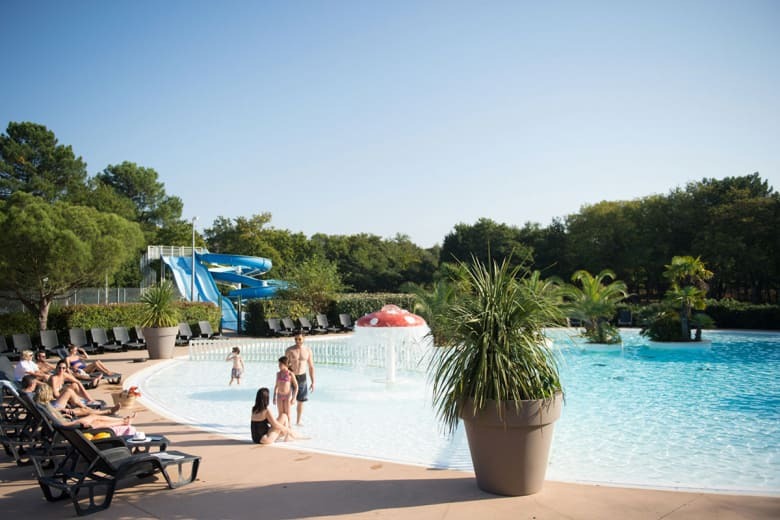 Holidaymakers can make the most of their stay in the Gironde to relax and have fun, thanks to the multitude of leisure facilities scattered across the campsite. Amongst these there is a delightful aquatic park consisting of a circular heated pool of 530 m², a Jacuzzi, a children’s splash pad, as well as a second heated pool of 200 m². Around the pools, a multitude of sunbeds are strewn for the greatest delight of lovers of idleness in the sunshine. To relax, a mini-golf course, as well as two areas for playing boules, await holidaymakers. Moreover children can enjoy themselves thanks to the multiple outdoor playgrounds on the campsite. The mini farm, with ponies and goats, is also a huge success with the very young.